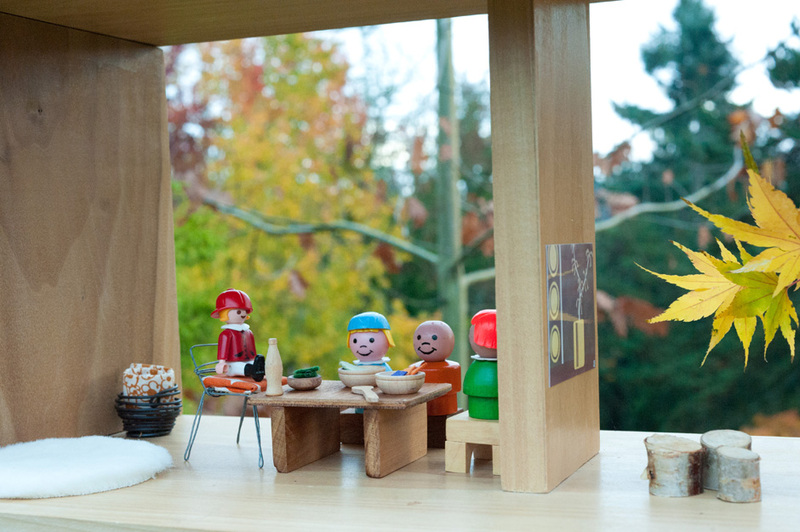 The kids recently made the great discovery of using the Miniature Kitchen Set in the dollhouse. 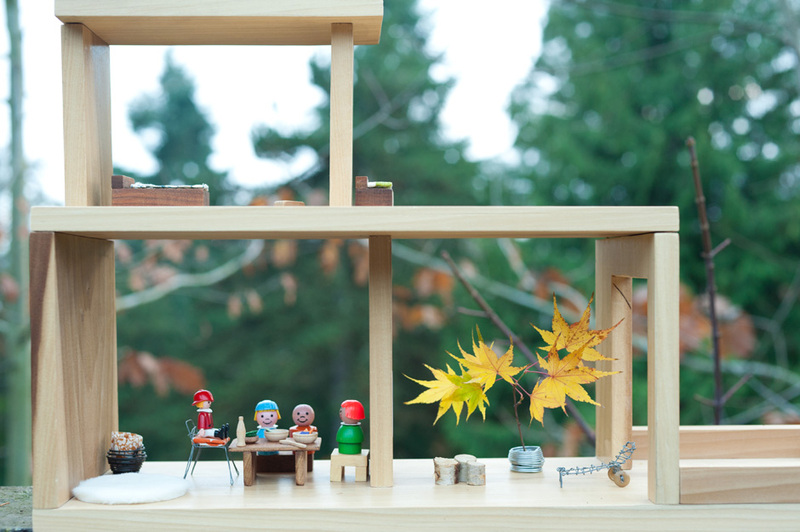 They’ve been making some nice Thanksgiving dinners for various dollhouse guests. Nice! Fantastic! 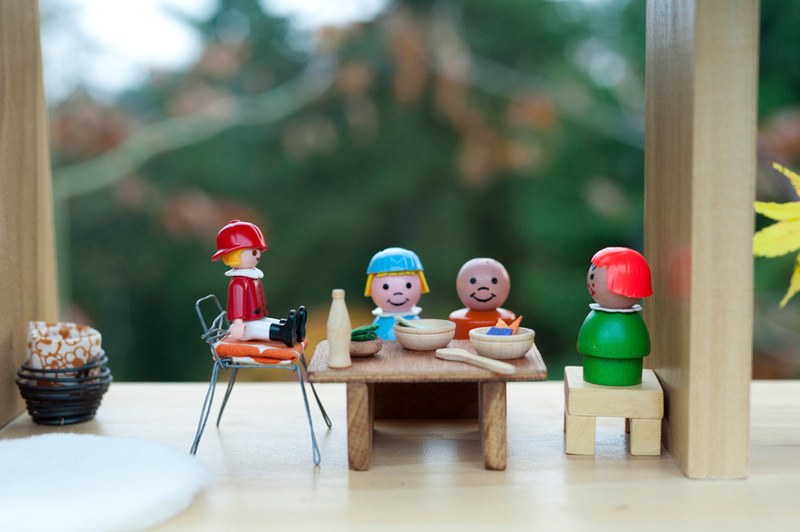 My daughters don't have such beautiful kitchen accessories but the dollhouse also welcomes mixed families involving Little People, Playmbil characters, Petshops or others. I love it!